SAN MATEO, Calif. -- A U.S. Coast Guard helicopter crew rescued a man who was stranded on his 10-foot boat south of the San Mateo-Hayward Bridge on Thursday night. California Highway Patrol dispatchers contacted the Coast Guard at about 9:45 p.m. Thursday about a report from the man's son, who said his father was on a disabled boat near the San Mateo-Hayward Bridge. 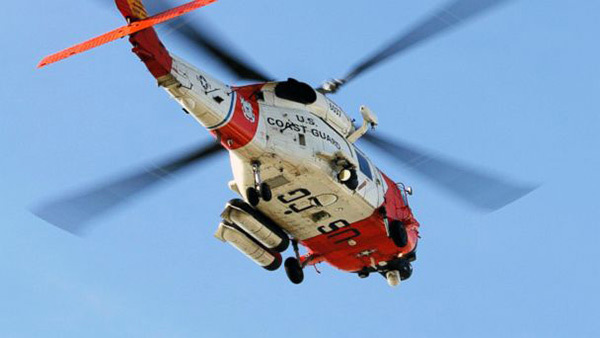 A crew took off from Coast Guard Air Station San Francisco in a MH-65 Dolphin helicopter and eventually found the man, who was using his cellphone flashlight as a distress signal, according to the Coast Guard. Rescue boat crews from Hayward and Foster City had also responded but could not reach the man because of low tides in the area, Coast Guard officials said. The crew got the man into a rescue basket and hoisted him into the helicopter, which then took him back to Air Station San Francisco. The man did not report any injuries, according to the Coast Guard.